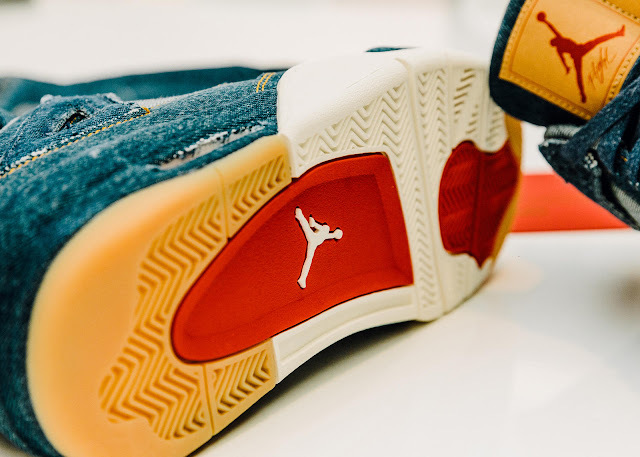 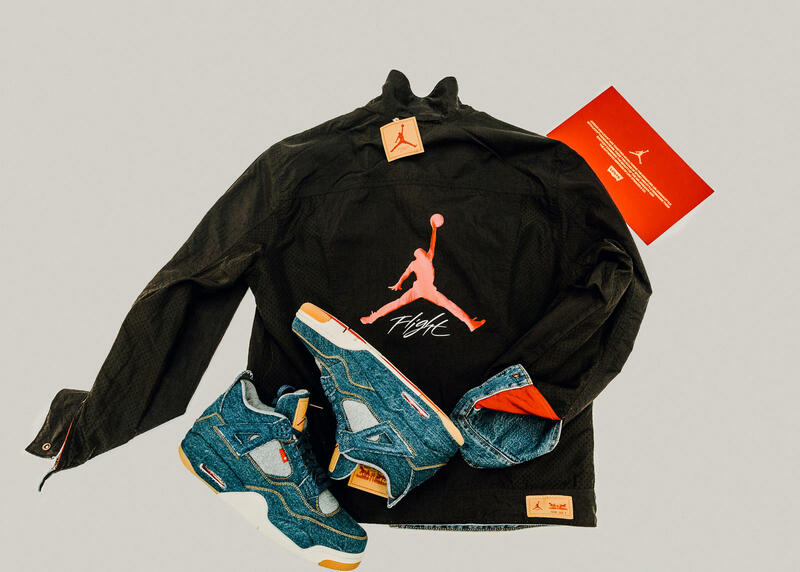 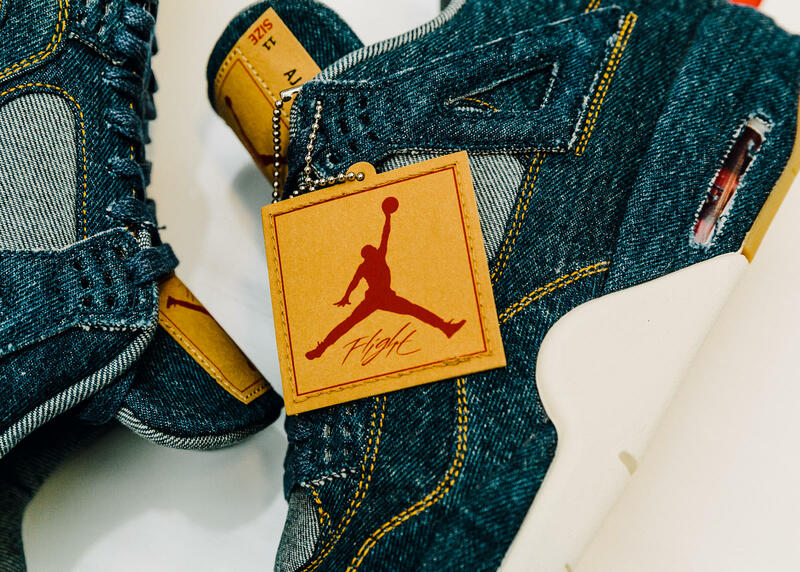 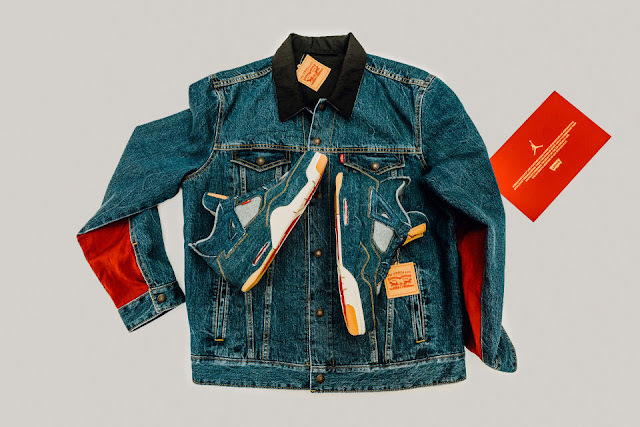 The highly anticipated collaboration between Jordan Brand and Levi's is made up of two pieces, an Air Jordan 4 and matching Trucker Jacket. 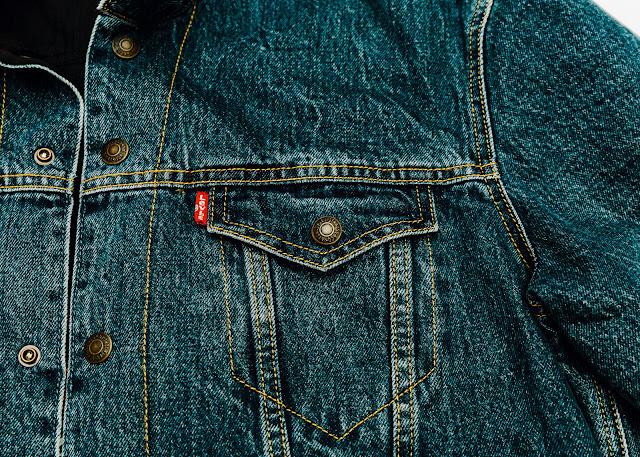 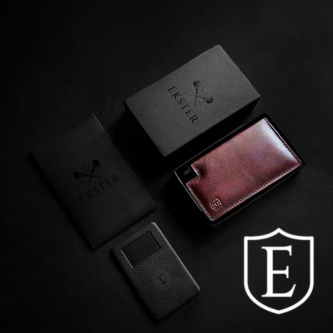 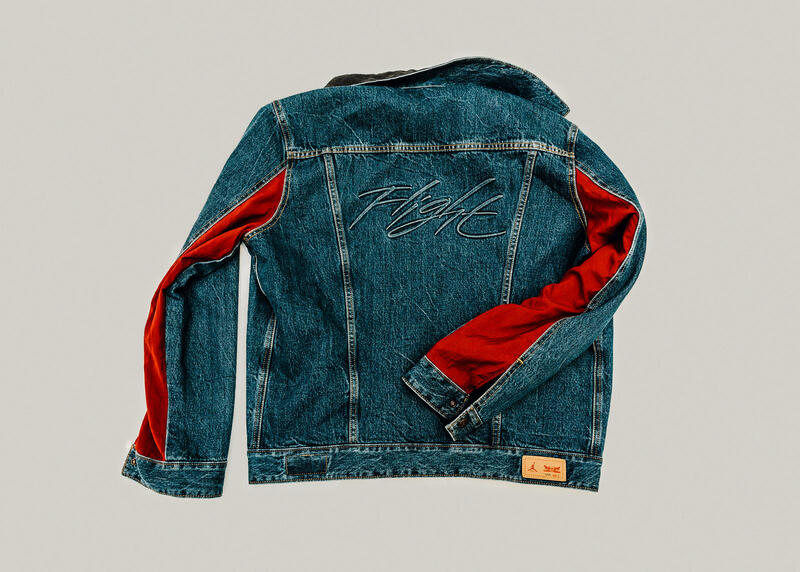 Part reversible, with a worn denim on one side, complemented with "Flight" emblazoned across the back and red Flight Suit fabrication stitched on to the underarm panels. 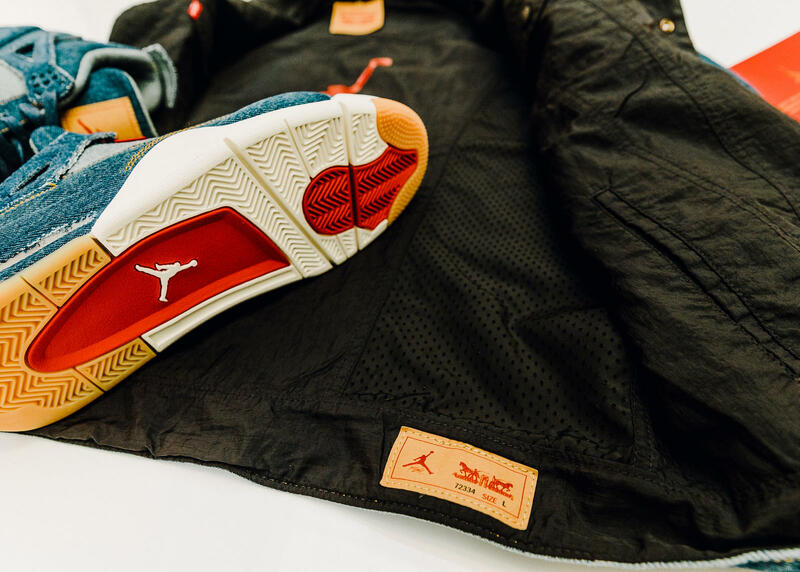 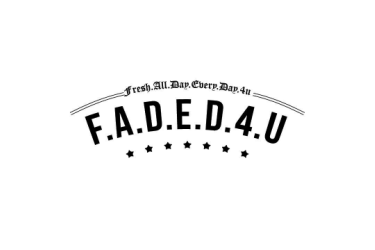 The reverse side showcases a black flight suit with a denim accented collar and a Jumpman Flight logo on the back. 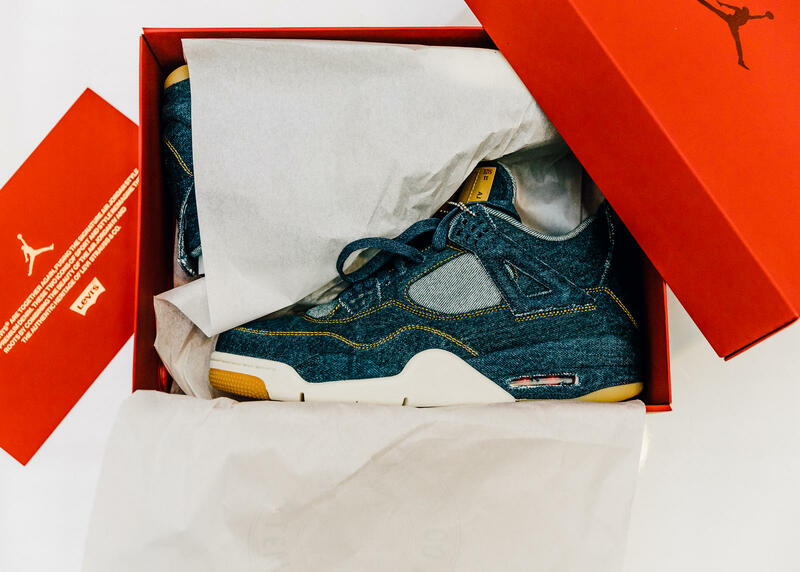 The kicks are done up with a standard wash denim on the upper and reverse denim material on the liner and insole. 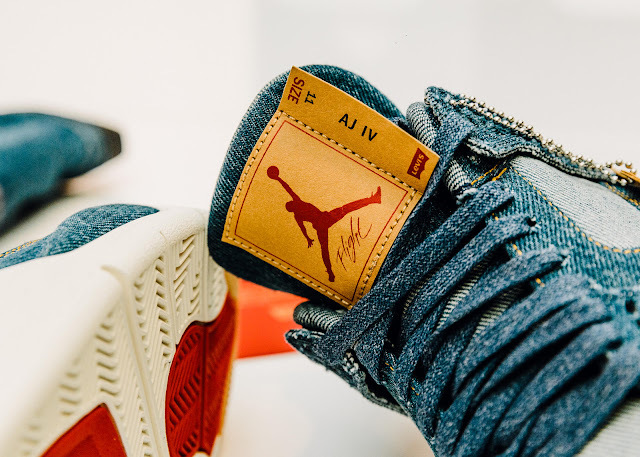 Levi's trademark "Two Horses" paper patch is updated with a Jumpman logo and appears the shoe's tongue and hangtag. 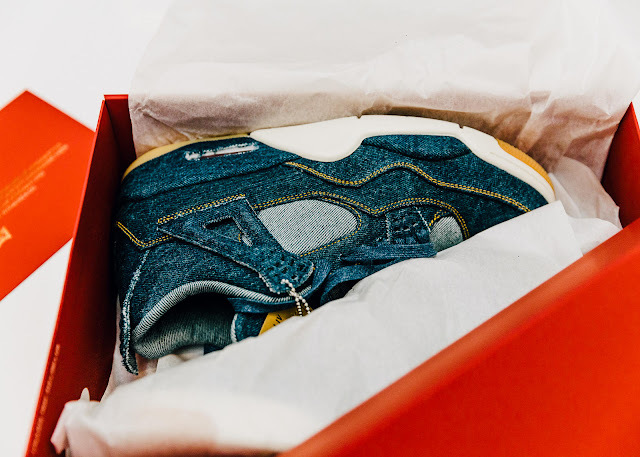 A gum rubber outsole, contrast gold stitching, indigo-color laces and a standard Levi's Red Tab round out the details. 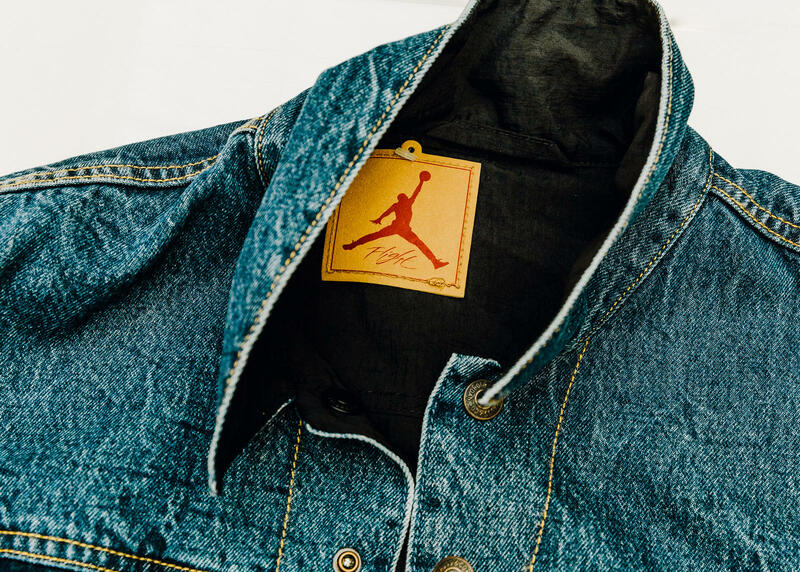 Expect the Air Jordan 4 and reversible Trucker Jacket to launch January 17th at the following retailers.